All is ready for #PrEstoCloud presentation at KDD in London within next 2 weeks. The KDD 2018 Project Showcase Track, held on Wednesday, August 22, 2018 in London, offers a full day focused exclusively on innovative projects from national and regional funding programs, as well as corporate, start-up, and nonprofit channels. 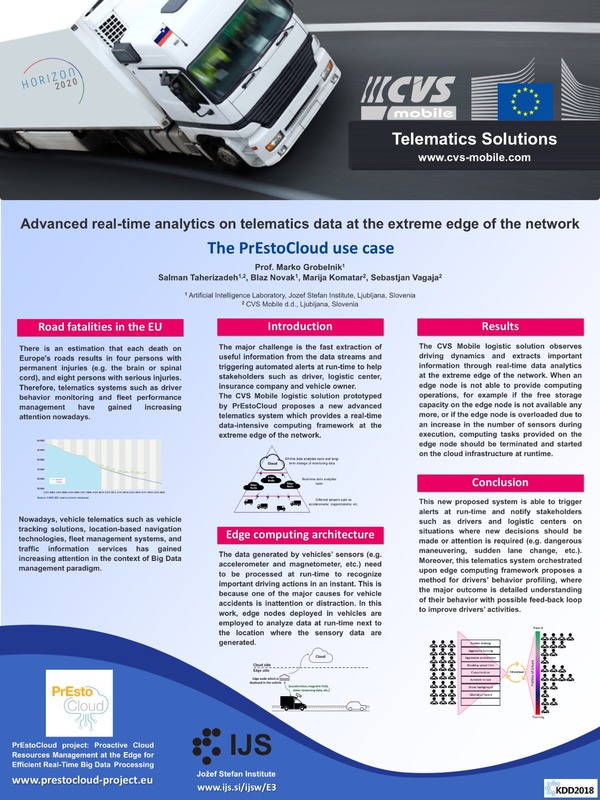 In the KDD 2018 Project Showcase Track, a poster about the CVS logistic system as a commercially promising PrEstoCloud use case will be demonstrated.